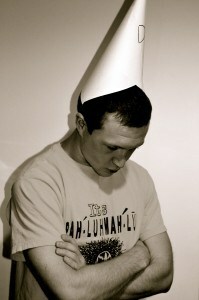 Bell Aliant Archives · Stop the Cap! 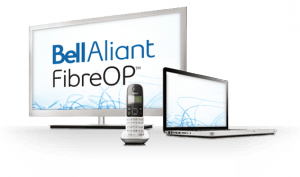 Bell Aliant’s FibreOp fiber to the home service may suffer as Bell/BCE redirects upgrade investments into shareholder dividend payouts. Bell Aliant customers in Atlantic Canada won’t benefit from Bell Canada’s (BCE) efforts to take subsidiary Bell Aliant, Inc. private unless they happen to be shareholders. In July, Bell Canada Enterprises announced its intention to privatize Bell Aliant, which serves customers in Nova Scotia, Prince Edward Island, New Brunswick, Newfoundland and Labrador, expecting at least $100 million a year in savings from reduced operating costs and capital investments. Bell Aliant has operated largely independent of Bell Canada from its headquarters in Halifax, N.S. Bell Aliant customers have received FibreOp fiber to the home upgrades in several Atlantic provinces in recent years, providing more advanced services than Bell’s fiber to the neighborhood platform Fibe in Ontario and Quebec. Bell Aliant customers have also avoided usage caps and usage-based billing, getting access to unlimited use broadband at speeds up to 400/350Mbps. Politicians in Nova Scotia immediately raised the alarm about the possibility of job cuts. Both Tory and NDP opposition leaders complain the Liberal premier has not done enough to protect jobs. NDP MLA Dave Wilson said all three parties agreed to work on economic issues for the province. Wilson said he fears if the government isn’t vocal about its support for the jobs, Bell might look to move them elsewhere. The news is better for those holding stock in the company. Existing public minority shareholders are being offered cash or shares of BCE stock (or a combination of both) in return for selling their Bell Aliant stock. Bell wants to take Bell Aliant private to get access to its consistent $1 billion in cash revenue earned annually, mostly to satisfy BCE shareholders with a more reliable and consistent dividend payout. Although Bell promises it will continue to invest in Atlantic Canada, its own financial disclosures show customers in the region will see spending on upgrades and other service improvements cut as a result of Bell’s actions. Bell has committed to spending an average of $420 million a year across Atlantic Canada, but as an independent, Bell Aliant was investing $578 million annually, primarily on fiber upgrades. Over the next few years $160 million of the investment budget will be diverted to maintain a healthy divided payout for BCE stockholders. As of May 2014, BCE was paying a dividend of $0.6175 per quarter with common shares outstanding of 777.3 million, for a quarterly dividend payout of about $480 million per quarter, or $1.92 billion per year. As Bell Aliant shareholders cash out their holdings or convert them to BCE shares, the growing number of BCE shareholders will require Bell to spend more to satisfy dividend payouts. In fact, BCE may transfer enough money out of Bell Aliant’s operations to raise its dividend for all BCE shareholders to attract new investors. Reduced spending will mean reduced upgrades for Bell Aliant customers. Bell is not promising significant cost savings from merger-related synergy, so capital spending will likely suffer the most as a result. So will customers. 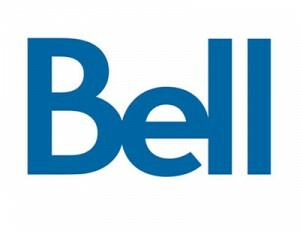 Canadian investment analysts are recommending that Canada’s telecom giant Bell (BCE) should explore buying out Bell Aliant, Inc. the largest telephone company in the Maritimes, to further consolidate Canada’s telecommunications marketplace. 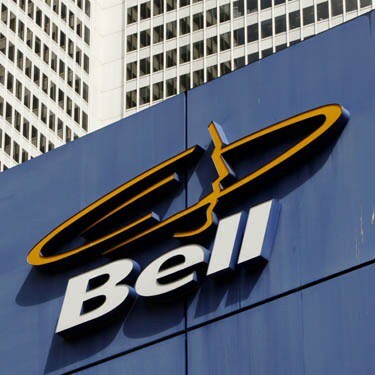 Bell already effectively controls the phone company serving provinces east of Quebec through its 44 percent stake in the venture. Picking up the rest through a takeover would make financial sense, said Maher Taghi, a telecom analyst at Canada’s Desjardins Securities. The Globe and Mail reports Yaghi explained in a note to investors a buyout would boost overall free cash flow for Bell (BCE), primarily from the increased revenue paid by customers for phone, television, and Internet service. Bell Aliant has been one of Canada’s most conservative telecom companies serving the country’s smallest provinces in Atlantic Canada, as well as parts of rural Ontario under the NorthernTel brand and Télébec, which serves rural Quebec. Unlike Bell (BCE), Bell Aliant has aggressively deployed fiber to the home service in New Brunswick, Prince Edward Island, and Nova Scotia to stem landline losses. Bell Aliant’s FiberOP customers avoid stingy usage caps that are pervasive across the rest of Canada. Its fiber network delivers strong competition to cable operators. Bell (BCE) is already a major player in Canadian telecommunications, both with its landline operation and Fibe — mostly a fiber-to-the-neighborhood service — wireless phone and broadband, owner of more than two dozen specialty cable networks, a satellite TV service, owner of the CTV television network, new owner of Astral Media, and a few dozen radio stations across Canada. With this level of media concentration, Bell (BCE) would have a tough time trying to buy any additional media assets, but with its current de facto control, Bell would likely have little regulatory scrutiny merging Bell Aliant into its existing operations. The home of Atlantic Canada’s largest hot air balloon festival is getting more than hot air from broadband providers promising better broadband in New Brunswick. Bell Aliant announced this month it will spend $2 million to expand its FibreOp fiber to the home service to 3,000 homes and businesses in the town of Sussex. Bell Aliant’s FibreOp delivers broadband speeds up to 250/30Mbps and is marketed without data caps — a rarity from large providers in Canada. The company was the first in Canada to cover an entire city with fiber-to-the-home and by the end of 2012, will have invested approximately half a billion dollars to extend it to approximately 650,000 homes and businesses in its territory. FibreOP builds are complete in Greater Saint John including Quispamsis, Rothesay, Grand Bay/Westfield, as well as Bathurst, Fredericton, Miramichi, and Moncton, including Riverview, Dieppe and Shediac. Customers in parts of Nova Scotia, Prince Edward Island, and Newfoundland & Labrador also enjoy fiber to the home service. While Bell Canada owns a controlling stake in Bell Aliant, it allows the Atlantic Canada phone company to operate under its own branding and supports their aggressive fiber upgrade project across the relatively rural eastern provinces. Even more remarkably, while Bell is one of Canada’s strongest proponents for usage-based billing and caps on broadband usage by its customers, Bell Aliant competes with cable operators by advertising the fact it delivers unlimited, flat rate service. Bell Aliant is aggressively expanding fiber to the home service in Atlantic Canada while Bell relies on its less-advanced fiber to the neighborhood service Fibe TV in more populated and prosperous cities in Ontario and Quebec. That is counter-intuitive to other providers who eschew fiber upgrades in rural communities, suggesting the cost to wire smaller towns is too high for the proportionately lower number of potential customers. That does not seem to bother Bell Aliant, who considers fiber to the home its best weapon to confront landline cord-cutters. Only it isn’t “state of the art” or fiber to the home. Bell characterizes its Fibe service as Canada’s “most advanced” telecommunications network, even better than traditional cable television. But in fact, it’s a marriage between fiber optics and the decades-old copper wire phone network Bell continues to rely on to provide a triple-play package of phone, broadband, and television, all without investing in superior fiber to the home technology. Only it's not a true fiber network. That the company claims it is running the most advanced network in the country must come as quite a surprise to Bell Aliant, the dominant provider in Atlantic Canada. Aliant is busily building a true fiber-to-the-home network for at least 600,000 customers in the most eastern part of the country. While Fibe is an evolutionary move for Bell Canada, it is hardly revolutionary because of its dependence on traditional copper phone lines. Canada remains behind the United States in deploying fiber technology of all kinds, including Fibe‘s fiber-to-the-neighborhood system. Bell’s closest cousin AT&T has been running its own comparable U-verse system for a few years now. Providers like the benefits of fiber-to-the-neighborhood technology and the fact it costs considerably less than rewiring every home for fiber optic connections. Fibe can deliver speedier broadband than traditional DSL, but cable operators like Rogers and Videotron are already positioned to beat Fibe speeds, and a true fiber to the home network can beat anything on offer. Phone and cable companies in the United States who have pitched older technology as a “state of the art fiber network” without actually providing one have been challenged by true fiber to the home competitors like Verizon, and forced to retreat. But with so few Canadian providers in a position to challenge Bell’s fiber claims, it will be up to regulators to declare the advertising and marketing materials misleading.